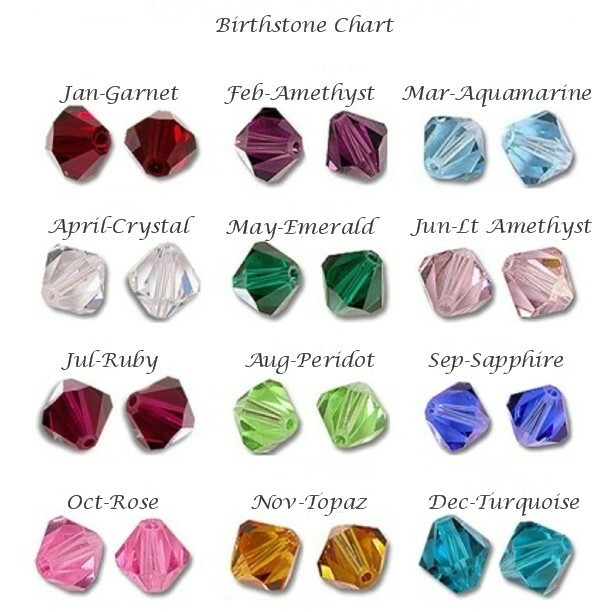 Made for an Angel Birthstone Bracelet. Ladies and Girls Sizes Available. This remembrance gift is made with genuine Swarovski pearls (sparkling white) and birthstone crystals by Swarovski. 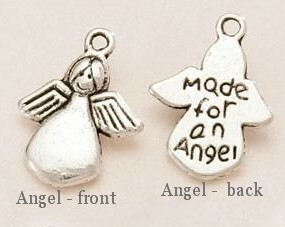 The angel is Tibetan silver and it has 'Made for an angel' inscribed on the reverse. A beautiful keepsake for any woman or girl to treasure for many years to come. 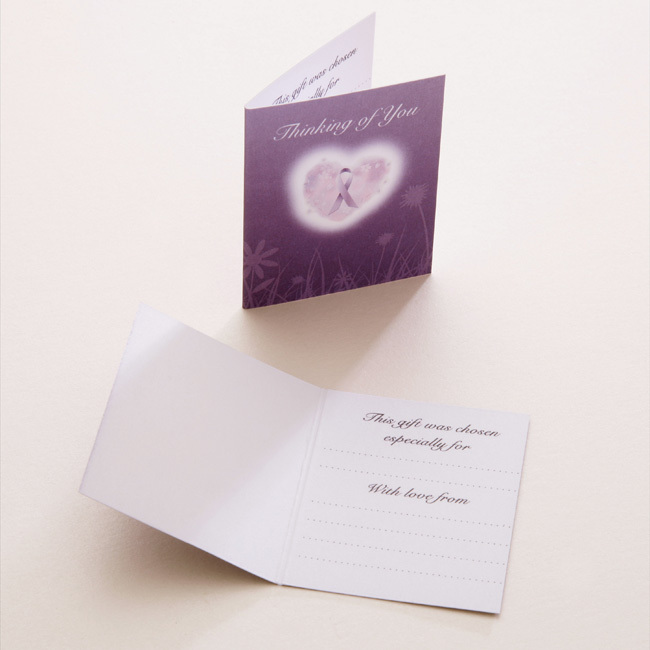 Presented in the lovely gift box shown with the little gift card for you to add your own personal message. An extension chain is included to allow adjustment of size and room for growth. Part of our range of bereavement jewellery. 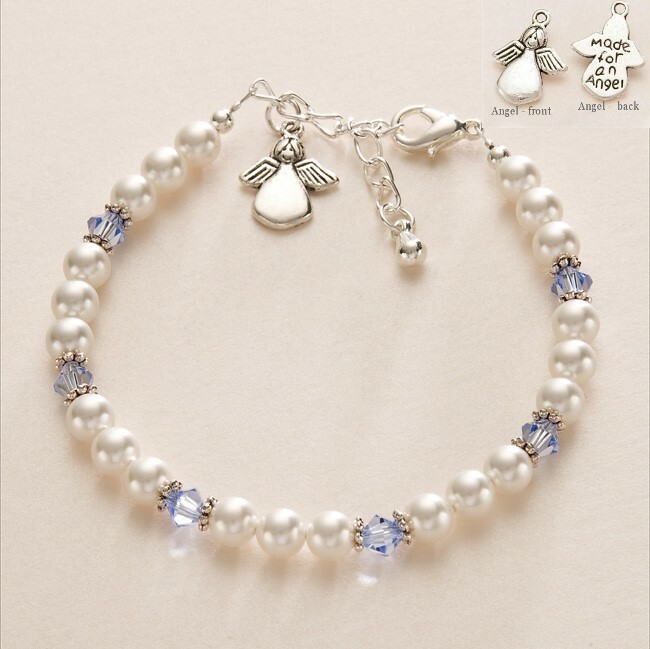 Our angel remembrance gifts make lovely sentimental presents for someone who has suffered the loss of a loved one. Adult Sizing: Our standard adult bracelet adjusts from small to large. We can also make to measure. Metal Parts: High quality silver plated parts; Tibetan silver parts.